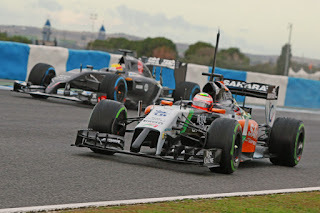 Sauber's Monisha Kalterborn, then the employer of Gutierrez, added in a similar vein: "Such a race, which has so much heritage, returning now is fantastic for the sport and I'm sure we'll see how many fans we have [in Mexico]." And demonstrating this support for F1 in the country she added that "we were there a couple of years ago doing a show run and we couldn't believe that 200,000 people came out to see that. That tells you what a strong fan base it is - and that's a very positive sign." Indeed some of the turnouts at this very same track when CART visited in the noughties seemed something from fantasy rather than sane motorsport arithmetic. And even this very same track has its own lengthy F1 past. F1's first visit to the Autódromo Hermanos Rodríguez (although it has had the odd name change over time) circuit was all the way back in 1963, or 1962 if we are to include the sport testing the temperature of the local water with a non-championship race there first. While Mexico's freshman F1 appearance pre-dates by years countries that are these days thought of as fixtures such as Canada, Brazil and Japan. Indeed Mexico was only the fifth non-Western European country to get on the F1 calendar in its history. 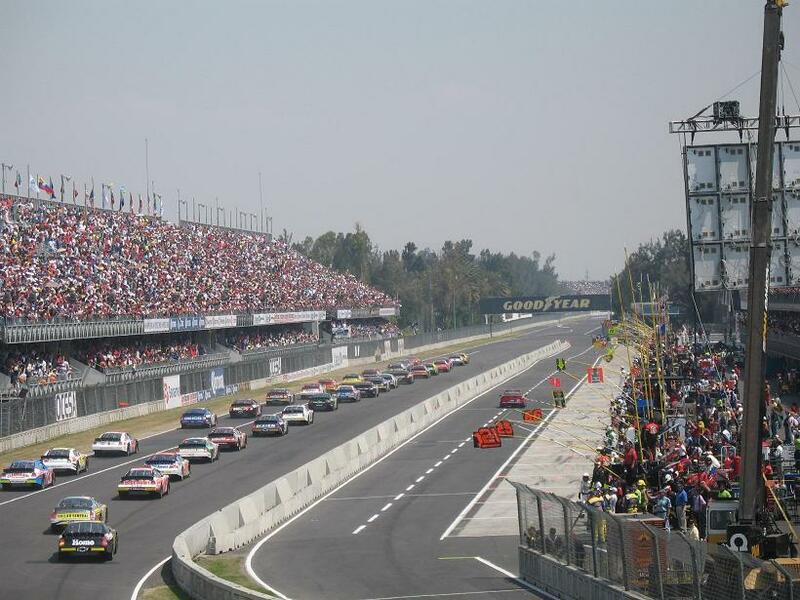 The track in the Magdalena Mixhuca Sports City public park in southeast Mexico City will actually be starting its third spell on the F1 schedule - the previous being from 1963 to 1970 and from 1986 to 1992 - which by my reckoning makes it only the third venue ever to have a third spell after an extended period away (Buenos Aires and the various incarnations of Austria's Österreichring are the others, since you're asking. At a stretch you could include the Nurburgring too). Unlike the previous examples, and while there has been inevitable tweaks over time, the layout hasn't actually changed all that much either. (As an aside, you can have a read about the track's history in more detail in something I wrote for Grand Prix Times last year here: http://www.grandprixtimes.com/news/display/09228). And why is it back? Well rumours of a Mexican return have never entirely desisted since F1 went away but underlining that not everything is new the key thing that changed latterly was that it got money behind it, thus surmounting the usual hurdles of where the hosting fees are coming from as well as from where the cash for getting the track up to the FIA exacting Grade 1 standards is to be found. Mexico has the world's richest man in Carlos Slim, and he occasionally can be seen in the paddock. Furthermore his son, Carlos Slim Jr, has a close involvement in motorsport, being a key supporter of both the current Mexican drivers mentioned as well as has been central to this effort to bring F1 back to the country. A glance at the car liveries and overalls of Perez and Gutierrez demonstrate too that there are plenty of Mexican companies, many associated with Slim, willing to invest in F1. Kalterborn added indeed last year: "We know that our partner Telmex and Carlos Slim particularly has had this long-term vision to establish motorsport in Mexico…And we also know how important that is for the other partners we have." 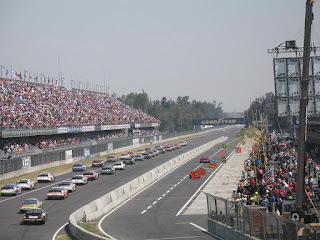 "MexicoAutodromo" by (WT-en) Fabz at English Wikivoyage. Another thing that is not against the modern norm though is that the track as had the inevitable Hermann Tilke treatment. The famous Peraltada curve that ended the lap is neutered, which it always was going to be given it was considered highly perilous by the standards even of a quarter century ago and there's no room to extend the run off. As was the case for CART's visits instead we'll take a detour through a baseball stadium(!) on the inside. But beyond that the layout is roughly as it was when F1 left it, meaning there are two straights separated by tight turns, as well as a quicker esses section (that which I recall Murray Walker back in the day in his inimitable style refer to as a 'wiggle-woggle'). All of which somehow has brought it around to having a conspicuous Tilke look, a bit akin to the Sakhir track in Bahrain. And despite the gap there are a few other things from the previous visits that we can take as a guide for this time. The track is at altitude making it tough on engines as well as making aerodynamic downforce harder to come by. Also the track used to be notorious for its bumps - and while tarmac surfacing has no doubt improved over the last 23 years back then the problems were said to be insurmountable due to the local geology and plate movements meaning the ground literally moved around beneath your feet. Back then all had to set up cars specifically to deal with those bumps plus they gave the drivers some incredible physical punishment. The Mercedes of course can be expected to be setting the pace and you'd expect that its sweet power unit will serve it well on the lengthy straights and through the thin air. The championships now are wrapped up, though you could argue they've been as good as wrapped up for a while. And de-mob happy F1 always has a certain charm about it, plus therein drivers out on track often simply can go for it with the feeling of little to lose (see the 2005 race in Japan quintessentially). How will Nico Rosberg react to Austin and all that? Merc boss Toto Wolff indeed has promised for the season's remainder "Full blast, free racing, no worries – and enjoy the races". 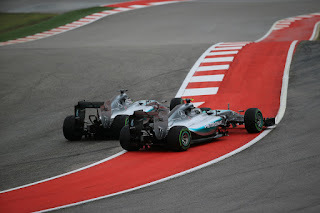 You could argue though that the racing between the two Mercedes, on Austin's evidence at least, was full blast anyway. 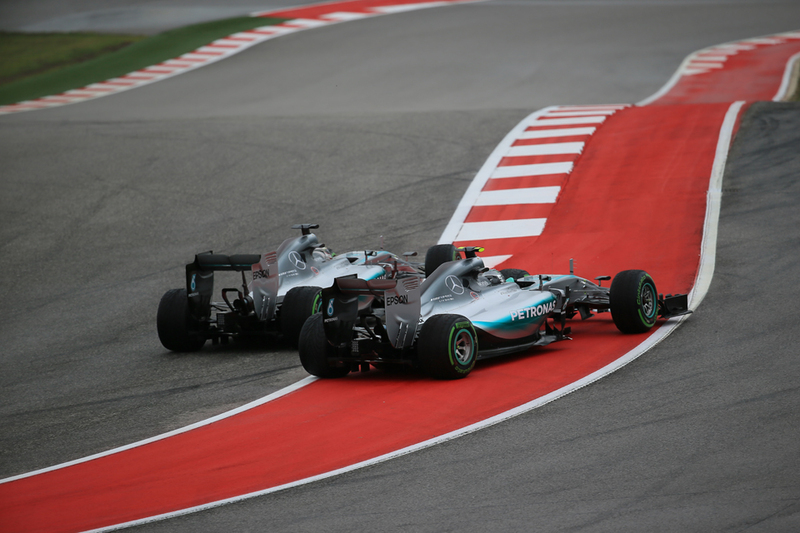 It'll be fascinating to see how Nico Rosberg reacts this time both to his Austin disappointment and with his view that at turn one there his now champion team mate took things "one step too far". Ferrari though could be closer this time, as the red cars having tended to be closer to the silver ones on point-and-squirt type circuits, plus both Ferraris took fresh engines in Austin while Sebastian Vettel can be counted upon to maximise things. If the track is like that in Bahrain there Lewis Hamilton was rather clinging onto the lead by his fingernails at the end from a pursuing Kimi Raikkonen. And what of Perez? 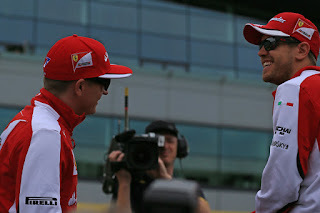 He's been in excellent form lately, should fly down the straights in the thin air with his Merc engine (plus the Force India has tended to be quick on these sorts of tracks) and of course will be particularly determined to do well at home. Another worth watching is Felipe Massa. He's always gone well on these sort of tracks with plenty of direction changes (see Bahrain, Turkey, Interlagos) while the Williams is another that should fly through the air (not in that way, well hopefully not anyway) here. Will the Ferraris be on form? Given it is a 'new' venue strategy is hard to predict, though Pirelli doesn't appear to have gone to its usual extremes of conservatism at 'new' circuits, bringing the medium and soft compounds here. Then again there don't appear to be too many high energy turns to tax the tyres, plus as seen at Sochi and elsewhere new tracks can still have bitumen near the surface making it a lot like driving on glass. Grip may therefore be low but so might degradation meaning tyres run all day Bridgestone-style. Tyre warm up may also be tricky. Further complicating matters potentially is that some long range forecasts suggest that for the fourth round in a row Friday practice could be disrupted by poor weather. And given everything teams will regret losing out on dry running here in advance of qualifying, to see the extent that their simulations of the track are replicated by reality. 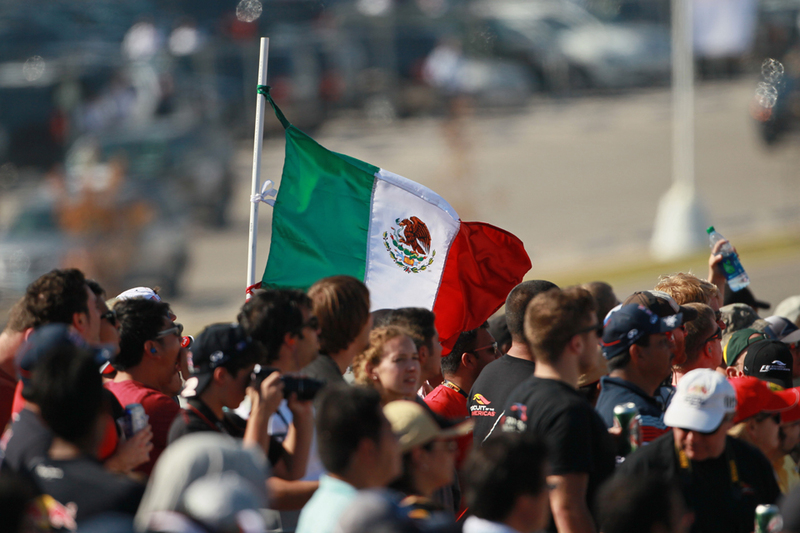 But, for a number of reasons, we should be pleased that the Mexican Grand Prix is once again a reality.